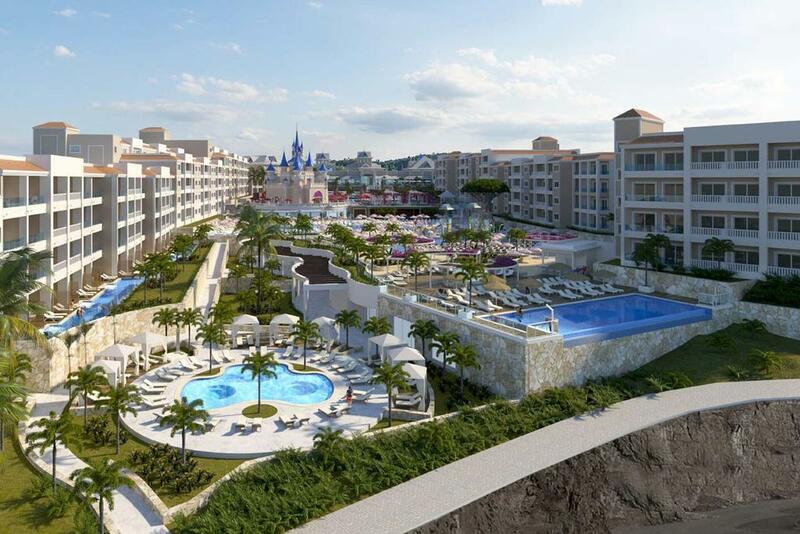 Hotel association Ashotel says that the Bahia Principe chain is finalising the details for the opening of its new luxury hotel at the south of the Golf del Sur, the first hotel of the Fantasía brand in Spain. The hotel division of the Piñero group has invested some €80m in the development and created over 400 jobs, and the partial grand opening of the 372-room 5* hotel is scheduled for November. Bahía Príncipe Hotels & Resorts general director said that after opening in the Dominican Republic, the group is now committing to bringing the luxury fantasy brand to Tenerife, appealing above all to the British market. Among the attributes of the new accommodation will be large bedrooms of 50 square metres, and personalized services for guests. At this resort, you’ll be steps from Golf del Sur Course and within a 15-minute walk of Amarilla Golf and Country Club. Medieval Adventure at Castillo San Miguel and San Miguel Castle are also within 6 miles (10 km). A water park, 5 restaurants, and 4 outdoor pools are all featured at this resort. Bring the family and enjoy the free kid’s club, children’s pool, and playground. Enjoy the fitness centre and perks like free WiFi.